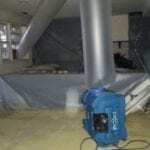 When you need water damage restoration in Potomac, MD we're the restoration company to call. At RestoreUnow, we aren't a chain or a franchise—we are local restoration professionals dedicated to helping you with any water damage, sewage damage, or flood damage restoration you need! If you contacted your insurance company we can work with them and you to help the claim process go smoothly. 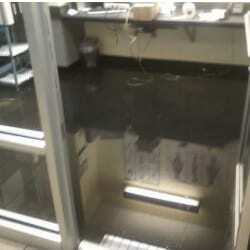 As the property owner, you have the right to hire any water damage cleanup company in Potomac, MD that you want. You do not have to use your insurance company's preferred restoration company and they cannot deny your claim or not pay because you want to use a water damage restoration contractor of your choice. When it comes to water damage restoration in Potomac, we have a very thorough restoration process to return your property back to pre-loss condition. Dealing with flood damage in a basement, crawlspace, or other parts of your home? Left untreated, mold can form. Call RestoreUnow at 301-679-0465 for flood damage cleanup in Potomac today. Whether you’ve discovered flooding from a broken or leaky pipe, damage from frozen pipes, a sewer line break, a sink or toilet overflow, or a malfunctioning appliance like a water heater, washing machine, dishwasher or refrigerator in your home, our flood damage technicians are equipped to handle any problem of any size. Removing the water as fast as possible helps to prevent any mold or other microbial growth. All it takes is one phone call and we are on our way to handle all your water damage cleanup needs in Potomac. Call RestoreUnow at 301-679-0465 for a free water damage restoration estimate in Potomac today! We're trained in how to identify what level of contamination the water has to make sure we clean any affected areas properly to ensure your safety. We will flush the areas with 200-degree water and at times we will apply an anti-microbial agent. Anti-microbial agents are used to deodorize, sanitize, and prevent mold growth. Children, elderly people, and others with weak immune systems or respiratory problems can get sick from strong chemicals such as antimicrobials. We will advise if any safety precautions are needed for your sewage removal in Potomac. We provide the best sewage damage cleanup and restoration services for both commercial and residential customers in Potomac. Call RestoreUnow at 301-679-0465 or contact us online today! For more information on our residential or commercial water damage restoration services in Potomac or to reach us about an emergency water damage issue, call us today at 301-679-0465.